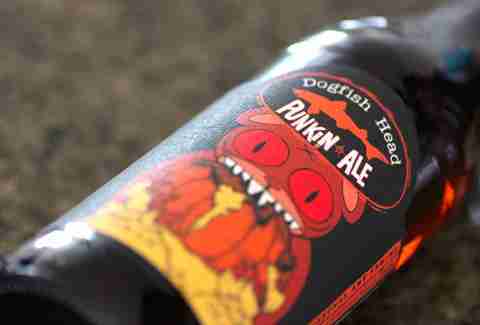 Dogfish Head's breakfast beer is made with maple syrup, coffee, and...?! Dogfish Head is celebrating two decades of business this year, and to properly mark the occasion, the brewery will be sharing some of its wildest, fondest memories on YouTube. In this first installment, founder Sam Calagione tells the tale of how the Delaware government almost shut him down. Apparently Calagione hadn't quite read up on state legislature back in '95 as he was preparing to open his new place, and found out that operating a commercial brewery was illegal in Delaware mere weeks before his launch date. He essentially had to spearhead a new bill himself to change the law (a relic from Prohibition), but he must've pulled a pretty convincing Jimmy Stewart, because it worked, and he was allowed to open his new biz without interference. Sam, we salute you for your service. Now can you please make your scrapple beer mass-market? Kristin Hunt is a Food/Drink staff writer for Thrillist, and is glad Delaware stopped being such a buzzkill. Follow her at @kristin_hunt.